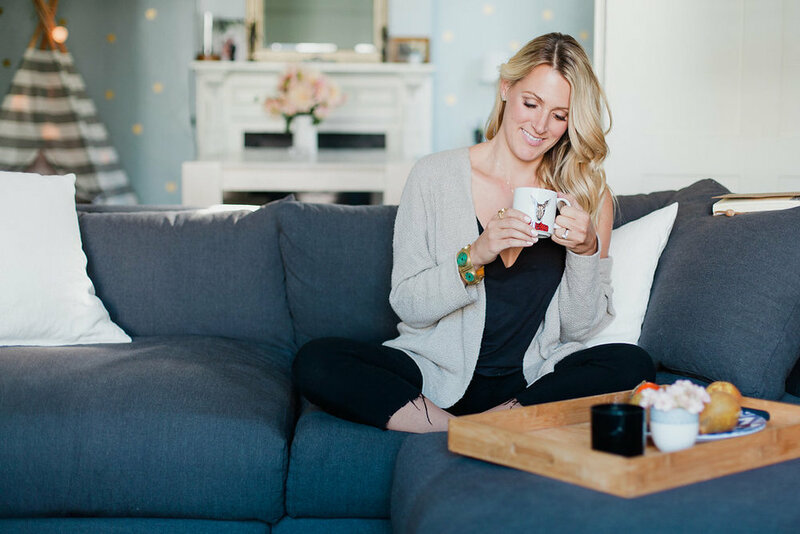 Spring+Summer Cleanse — Caroline Zwickson, M.A. Join me for a 7 day, delicious, food-based cleanse that focuses on detoxifying your body, rebooting your hormonal health, and creating a new way for you to flourish this Spring and Summer. This cleanse is designed to bring you back into balance, give you the energy to embark on all that you desire to create in your life and feel at home in your body again. you are a mom and would like to help your body "bounce back" by doing what's best: focus on supporting your hormones. you've been feeling sluggish, have had low energy, and need to reboot your body as a whole. you suffer from hormonal imbalances, period problems, PMS, PCOS, endometriosis, low libido, sleep difficulties, low thyroid or skin issues and know something needs to change. you have been putting up with uncontrollable cravings and a feeling that food controls your mood more than you like. you want to detoxify your system from all the built up "bad choices" you've made. you simply want to feel balanced, light yet resilient, and vibrant in your body. you want to experience what it means to "eat yourself healthy." The sad reality is that most women feel completely overwhelmed and confused when it comes to healing these imbalances naturally and holistically. This is exactly why I created this powerful yet gentle, food-based detoxification cleanse for you. I want you to experience the power of food. This cleanse is not about making your life hard and your plate empty and boring. The focus is not deprivation. Instead, this cleanse focuses on giving you the tools, resources, and support to try a new and DELICIOUS way of eating. It's about filling your life and your plate with color, vibrancy and flavor that is good for you while also giving your body a break and allowing it to release toxins that are holding it back and even making it sick. Another -very important!- differentiating factor is that we will focus on your BODY and on your MIND. You will be taught how to nourish yourself physically AND you will expand your understanding for what your biggest hurdles are when it comes to creating a life in which you can flourish. This cleanse is about creating a solid jumping board for your physical, emotional, and mental well-being + a thriving fertility that gets you ready for an amazing and healthy pregnancy (if that is what you desire). It doesn't have to be the "perfect" week (if you try to do that, you will likely never get around to it) but a week during which there is a bit less going on. Sometimes that means shifting some meetings around so that you can focus on yourself and your health. 4. I AM CURRENTLY BREASTFEEDING, CAN I STILL DO THE CLEANSE? Absolutely. In fact, the main goal of the cleanse is to support your hormones to balance. If you are breastfeeding you will likely need to eat more often to make sure that your milk supply doesn't drop. When you eat for your hormones you milk supply and your personal mood and energy will get even stronger. 5. WILL THE CAFFEINE (AND SUGAR) WITHDRAWAL BE TOO HARD TO KEEP UP AND I WILL JUST HAVE SUPER LOW ENERGY... I HAVE A LOT TO GET DONE? 6. I'VE DONE CLEANSES BEFORE AND THE RESULTS NEVER LASTED, SO I AM HESITANT TO SIGN UP FOR YOUR CLEANSE. 7. I HAVE TERRIBLE PMS, HEAVY PERIODS AND I JUST DON'T KNOW IF A 7-DAY CLEANSE WILL FIX THAT. There is never the RIGHT time or the perfect undistracted 7-day period where doing a cleanse is convenient. BUT, you know as well as me that your health is just more important than mere convenience! Your health is the cornerstone of everything you do, desire, and achieve. It allows you to feel strong and vibrant. It allows you to think clearly and creatively. It allows you to attract amazing people and opportunities. It allows you to be beautiful in your own skin. It allows you to have amazing relationships with your friends and family. It allows you to be happy. AND, it's an important cornerstone in supporting your fertility. NOW is the time! Let's do this for yourself and the people you love. M.A. Counseling Psychology focusing on women and the mind-body connection. Published Author for my thesis work "Experiencing emotion somatically: fostering the mind-body connection on the journey towards wholeness." Disclaimer: The content of this cleanse and everything shared by Caroline Zwickson and Caroline Zwickson Coaching LLC is for informational purposes only. As such, this information is not intended as a substitute for medical advice by a medical doctor.